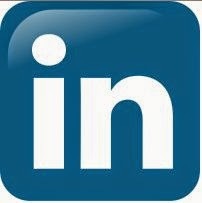 As LinkedIn adds users, useless features, and contrary policies, using the service to reach readers becomes more challenging. Here's a quick trick to help writers market their work and develop their author platforms. LinkedIn lets you send customized messages to subsets of your connections. Reading your writing in another city? Invite connections who live in that city to your event. Recently published a how-to article of interest to writers, send it your writer connections. Just blogged about a looming tax policy, alert your accountant connections. Depending on their LinkedIn settings, recipients may receive your LinkedIn message in their email inboxes -- so more of them will see it. 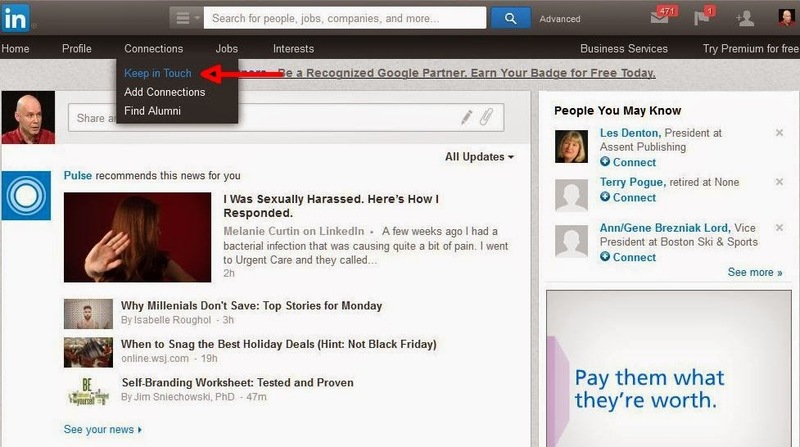 Remember: Just posting an update on LinkedIn will only reach a small subset of your connections. For example, I have 2,500 connections. My updates typically reach only 50 connections. Also, posting to LinkedIn groups is less useful than it used to be because group moderators can choose to block your posts -- and you permanently -- if your posts are too promotional. 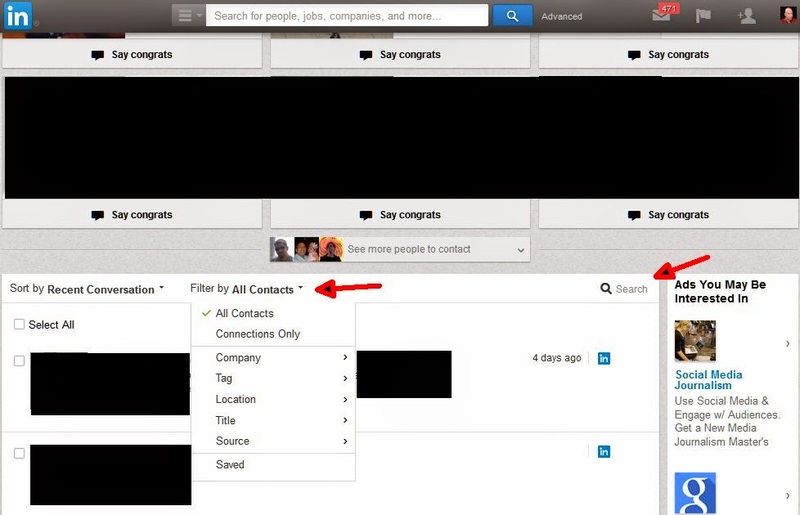 LinkedIn offers two main features to segment your connections: "Filter by" or "Search." - Tag: If you were smart enough to include tags for your contacts -- I wasn't -- this could be a winner. - Location: This didn't work well for me, so I used the "Search" box discussed below. - Title: Search on a title, such as "author" to reach other writers. 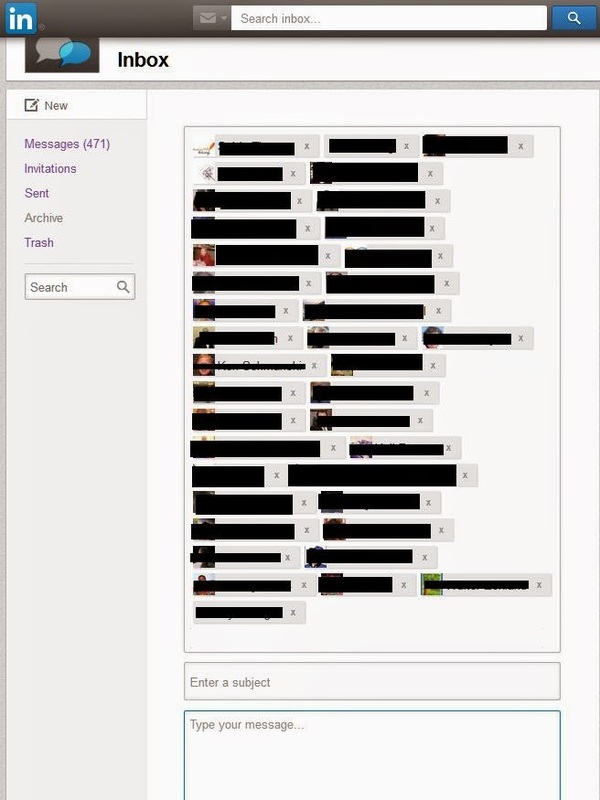 Using the "Search" box may generate different or more connections. Be sure to try both. - I found entering a word or phrase in "Search" more useful than the "Filter by" feature. For example, when I entered "author" in "Filter by" and "Title" I got a list of 20 people. Searching on "author" and I got 50. Note: you can send an email to each list in separate messages, be sure to look for dupes, people who appear on both lists, so you don't email them twice. 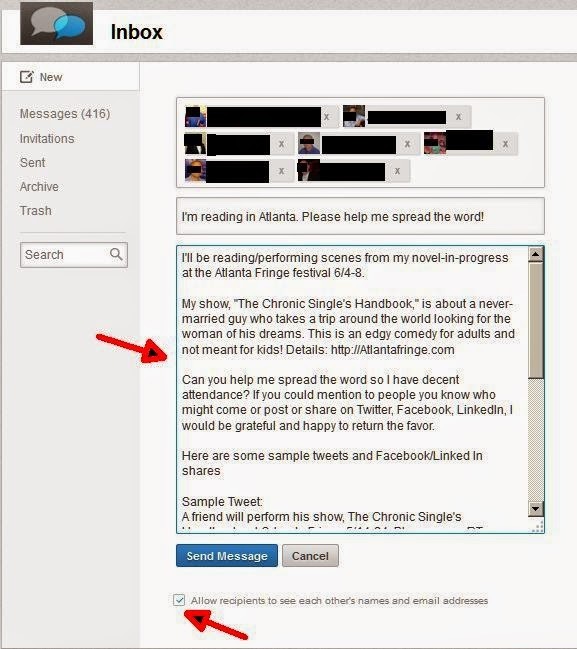 Example: I live in Boston, but was doing a reading in Atlanta and wanted to ask my connections in the area to help me get the word out. Here's what I did. 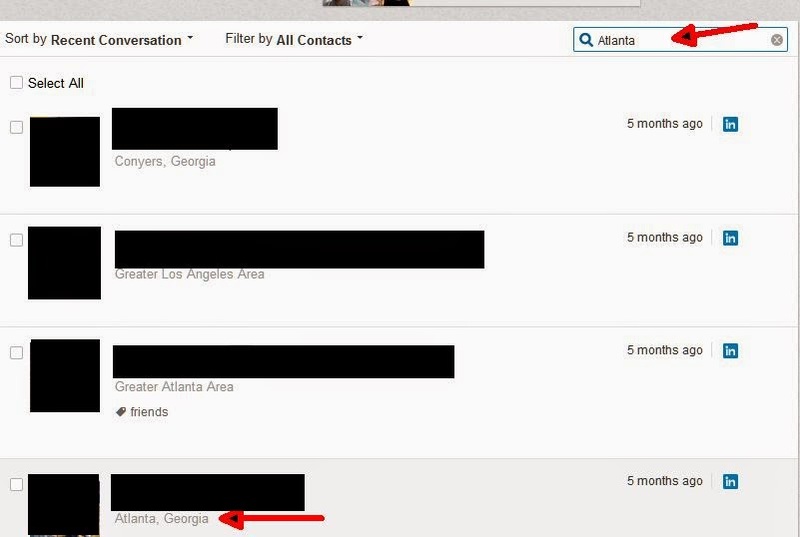 - I typed "Atlanta" into the "Search" box. Use Search box instead of a "Filter by" to find connections in a specific city. - I clicked "Select All" and then the "Message" option appeared. Clicking "Message" produced a blank message populated with only those connections living in or near Atlanta. Use "Select All" then "Message" to create a message populated with your selected contacts. LinkIn lets you message up to 50 connections at a time. 3) Craft Your Message and Don't Be Annoying! - Instead of making a bald, pushy pitch for your reading or book, ask connections to help you spread the word. - Keep subject lines short and sweet. 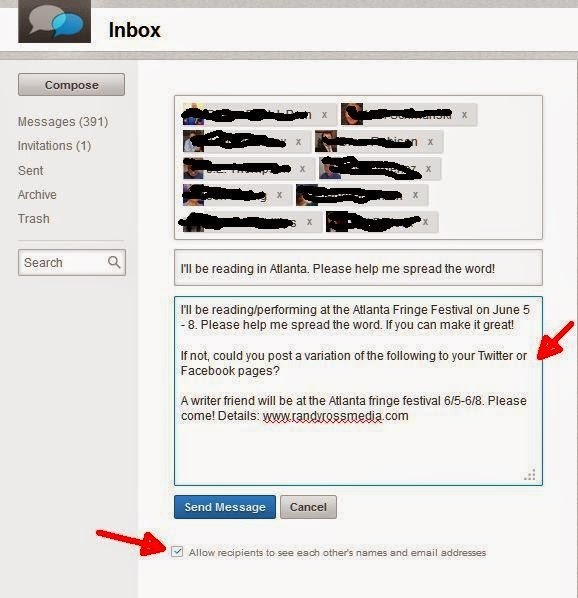 Here's what I used for in the Atlanta example: "I'm reading in Atlanta. Please help me spread the word!" - Offer to reciprocate in some way. - Make it easy for them to help you by including a sample Tweet or Facebook post they can simply copy and paste. Your message should ask for help and offer to reciprocate. Don't use bald pitches like "buy my book!" Include a Tweet or Facebook post you'd like people to share. Include sample text so they can just copy and paste. To avoid looking like a spammer and to preserve everyone's privacy, unclick the check box at bottom that says "Allow recipients to see each other's names and email addresses." - Don't over do it -- I send messages a few times a year to the same group. - Remember you can only send a message to 50 people at a time. -Realistic Expectations: I've used LinkedIn messages for readings in several cities. Some people I didn't know well offered to help and shared my posts. One guy, I met for lunch. 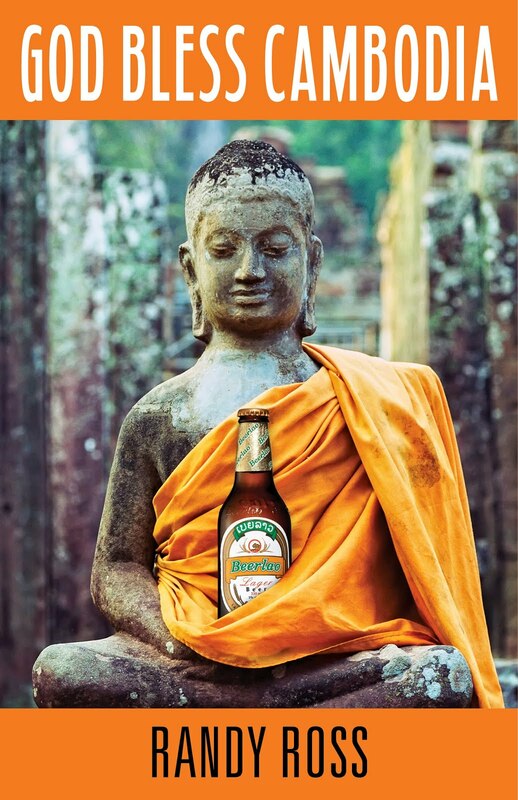 All marketing is a crap-shoot but it never hurts to get your name in front of people. Moreover, this feature doesn't take a lot of time.